The petition, which is likely to happen next week, has also sought a direction to the ECI to restrict political parties, whose election have been nullified, from taking part in the fresh polls. 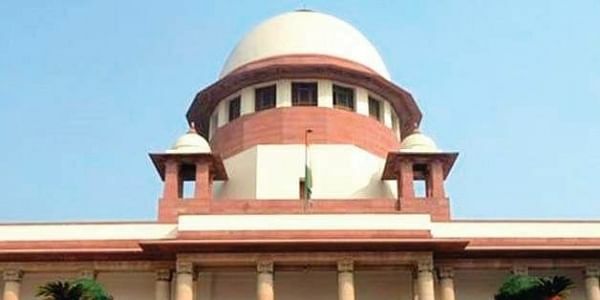 NEW DELHI: A plea has been moved in the Supreme Court to direct the poll panel to nullify an election result and conducting of fresh poll if the maximum votes are for NOTA in a particular constituency. The petition, which is likely to come up for hearing next week, has also sought a direction to the Election Commission of India (ECI) to restrict those candidates and political parties, whose election have been nullified, from taking part in the fresh polls. "The right to reject and elect a new candidate will give power to the people to express their discontent. If voters are dissatisfied with background or performance of the contesting candidate, they will opt for NOTA (none of the above) to reject such candidate and elect a new candidate," the petition filed by advocate Ashwini Kumar Upadhyay said. The petition, which sought direction from the apex court for decriminalisation and decommunalisation of politics, said the right to reject would check corruption, casteism, criminalisation and communalism as the political parties would be forced to give tickets to good candidates. The Right to Reject was first proposed by the Law Commission in its 170th report in 1999 as part of its 'Alternative Method of Election'. It had also suggested that the contesting candidates should be declared elected only if they have obtained 51 per cent of all valid votes. The PIL has also sought a direction to the Centre and the ECI to cancel the illegal, forged, fabricated Elector Identity Card and take action against the holders. The plea wanted the Union government to implement the Law Commission recommendations to ensure free and fair polls.